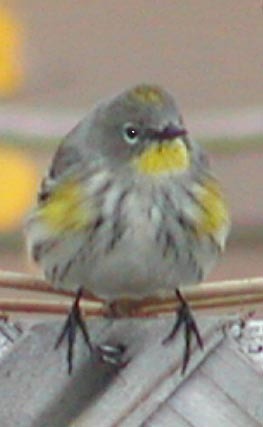 Introduced in New York's Central Park, this European native has thrived in the U.S. displacing other native species with whom it competes aggressively for nest sites. 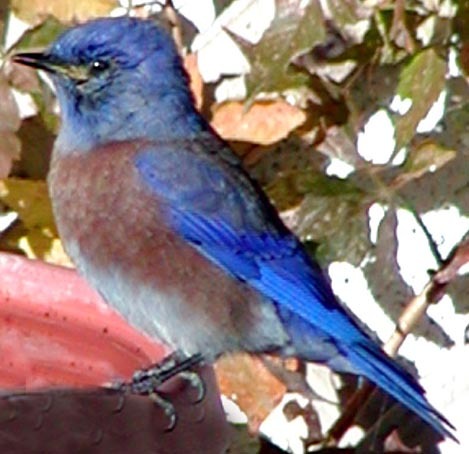 Here a male Western Bluebird comes in for water. They frequent my yard in the fall when the Virginia Creeper berries are ripe. 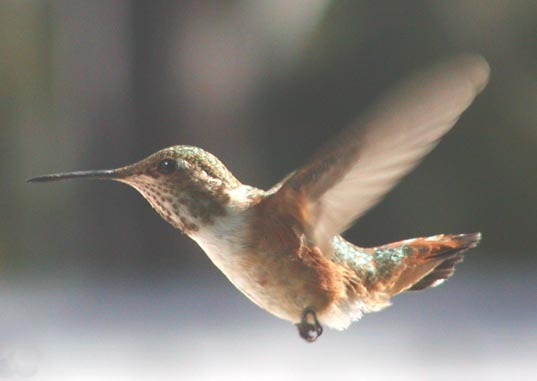 From catch and release banding studies, Ornithologists have determined that these belligerent hummingbirds winter in Mexico, fly all the way to Alaska to breed and return to home territories in the fall. They arrive almost invaribly over the 4th of July weekend at my feeders and stay until early October or whenever the first killing frost takes out most of the red flowers on which they feed. 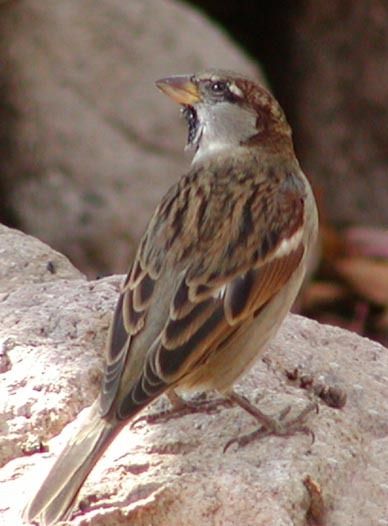 Those same banding studies indicate that the exact same bird will return to the same feeders year after year. What an incredible feat of navigation for such a small brain! Notice the short thick bill. Though their individual diets may vary, water is a more universal attractant than food in my yard. I also see the very similar looking female Oriole at the pond, but the shorter thicker bill on this girl makes her easy to identify. 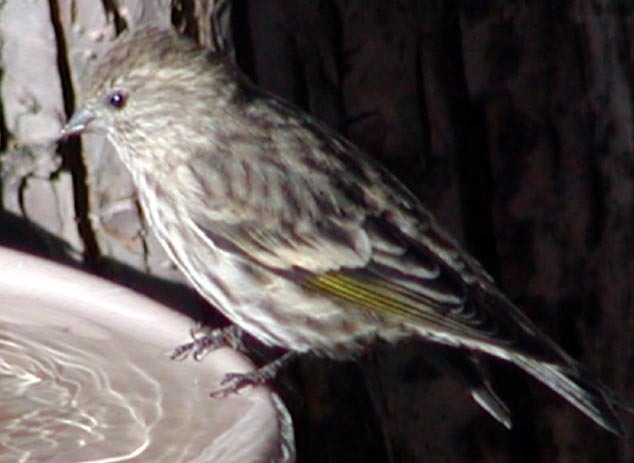 The Pine Siskin is the only other bird besides the American Goldfinch with a small enough bill to feed easily at my thistle feeders. Arriving in flocks in the winter, their spring chorus is a delightful alarm clock outside my window.